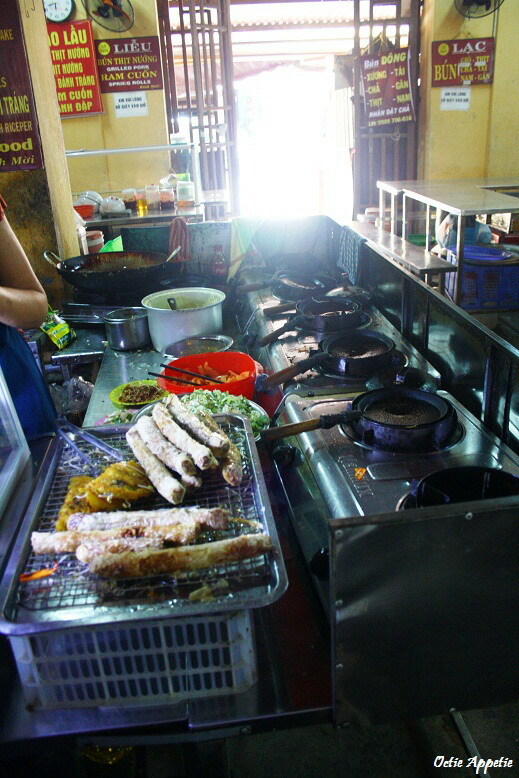 Breakfast at hotel was good, we then catched the hotel' shuttle bus to Ancient Town stopping in front of Bebe tailor shop and walked from there to Central market. Not for shopping but mainly to digging into their local delicacies. There are zone for cloths and fabric, there are also another zone for fresh produce and ready food. This spring roll was very crackly delicious. The skin was unlike any other spring roll. This consisted of a few layers of thin flaky sheet that turned out to be very crispy. With a combination of flavorsome filling and a good match sauce. The ban xeo from this seller was equally good as their spring roll. The crispy batter, having it with crunchy fresh vegetables. It was so delightful. 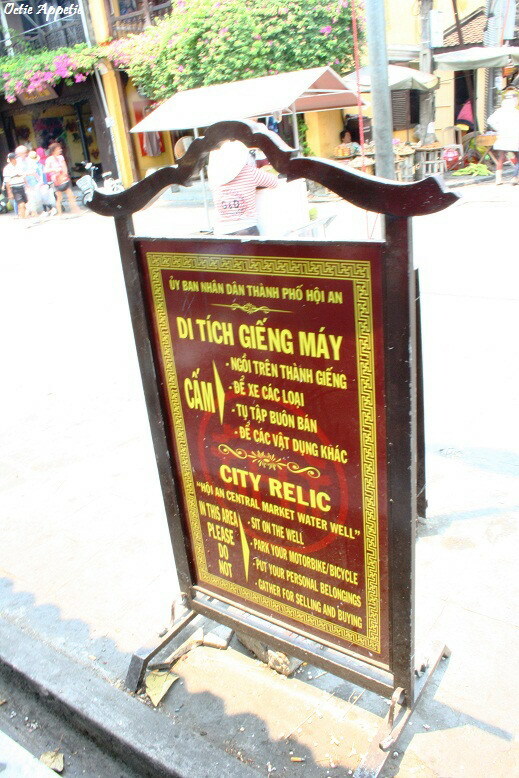 After having a good walk at Central market, we came back to the Ancient Town. While waiting for the shuttle bus to take us back to our hotel, we wandered around the colonial site. 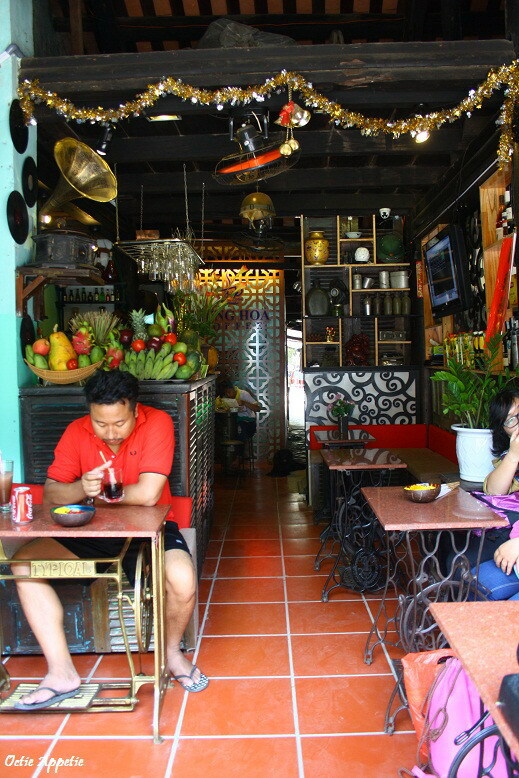 We got some refreshing iced drinks in some random small cafe and also banh mi phuong, the famous banh mi shop that appeared in Anthony Bourdain's show (No Reservation). With the help of paper city map on our hand, we found this banh mi shop. However, what we saw is a closed store but with notice paper is sticked on the door. Apparently the store has moved further down the road. We were already here, so why not make a few more steps to tick our food bucket list. Then here we were. The sign with Anthony's photo on it were standing in front of the shop, therefore we were sure that we were in the right place. There were a few people queueing but it moved pretty quick as many people are serving. 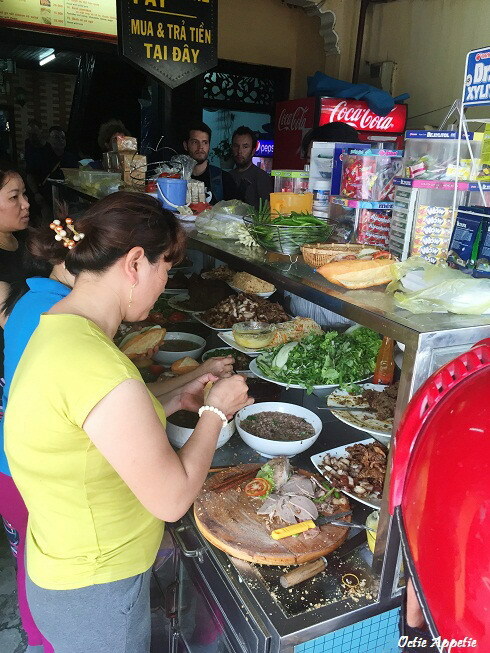 In no time we got our appetising banh mi on our hand ready to be eaten. We just sat on the chairs outside the shop and unpatiently made the first bite. We asked the one exactly the same with what Anthony had. It was tasty with a real yummy pate and actually so many things were going on in there. 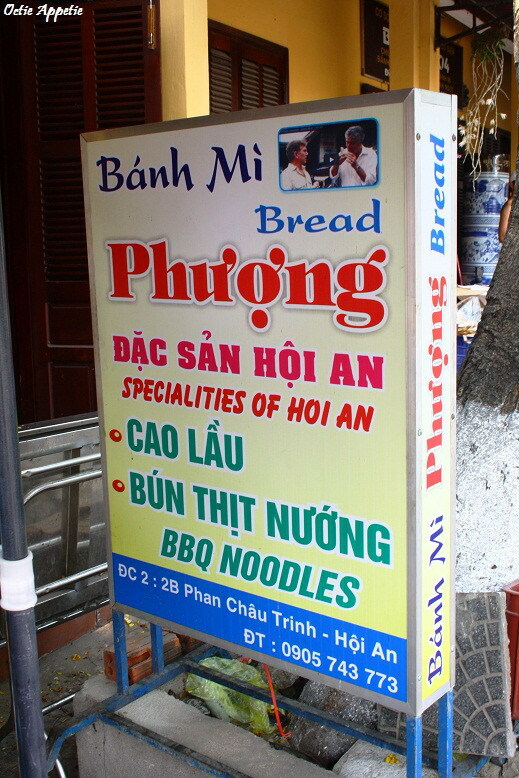 It was a good banh mi but not extra ordinary. Maybe it is just too commercial.